Ruth Cowan was born in Salt Lake City, Utah, in 1902. After graduating from the University of Texas in 1923 she taught at Main Avenue High School in San Antonio (1924-27). In 1928 Cowan became a reporter for the San Antonio Evening News. The following year she joined the United Press in Chicago. She covered gangster stories and reported on the trial of Al Capone. Cowan moved to Washington in 1940. Denied the right to attend the press conferences of President Franklin D. Roosevelt. She appealed to Eleanor Roosevelt who then decided to hold her own press conferences with women reporters. 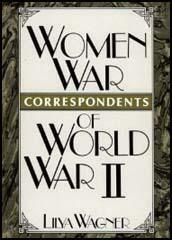 In 1942 Cowan was sent to London to report on the Home Front in the Second World War. She then moved on to North Africa but after four months in Algeria she returned to England. During the Normandy invasion Cowan reported from hospital ships caring for the Allied wounded. 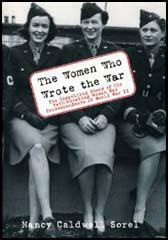 Later she interviewed several military leaders including Dwight D. Eisenhower, Omar Bradley and George Patton. After marrying Bradley D. Nash, an aide to President Eisenhower, in 1956, Cowan retired from journalism. Two fighters escorted us toward French fields neat and green, and we landed sharply on a strip laid down by detachments of this same transport group. We were approached at once by soldiers curious about the new arrivals. They were tired and grim, saying little at first, yet wanting to talk. Their field uniforms were dusty, but they had found time to shave. They watched and listened as you wrote one man's name and experiences in a notebook. "Will the story be in my hometown paper?" was the closest any of them came to asking anything outright. They asked that because it is a way of letting the homefolk know they are safe. It was the same with both men and officers. Among them were seaman second class John Dolan, West Orange, New Jersey; Capt. Robert Mulligan, Capron, 111.; and Warrant Officer Curtin Ferrell, Pontotoc, Mississippi. Home things come first in their conversations with a woman correspondent, but they also are eager to know all about the flying bombs the Germans have been firing into southern England. Trucks come for the planes' loads and hurry off. Ambulances rumble up. Patients are quickly transferred to the planes-usually about 24 litters to each one - and the planes take off. It is not safe to linger. Well-camouflaged is the tent of Major Milton Evans, Gulfport, Mississippi, Commander of Advance Headquarters, reached by crossing a clover field. You stay in the path resisting the temptation to pick beautiful red poppies. There is a dull boom-and dust thrown high on the beach shows why. Mines are still being found. I think we have a special bond fighting the good fight for women in journalism. You were always a star to look up to. I still think that newswomen of that era were outstanding, unique and strong. We had to be.